One of the most frequently thrown around tech jargon terms on the internet is “SEO”. As the title suggests this stands for Search Engine Optimisation. In other words SEO is simply a method for ensuring that your website is specifically enhanced so that search engines can not only find you but will in fact favour you above others. 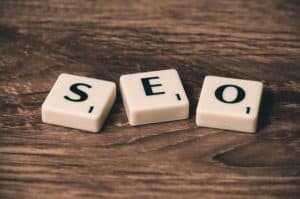 Why Does My Website Need to Use SEO ? Many businesses in the last 10-20 years have developed websites that have not adequately incorporated the principles of SEO into their design. It is for this reason that these sites may rank only when a customer types in the specific business name. If you wish to maximise the potential of your website by attracting new customers to your business you will definitely need to incorporate a significant SEO strategy. But Won’t My Social Media Accounts Drive Traffic to my Website? Sites such as Facebook, Twitter, Instagram & Pinterest can definitely drive large numbers of traffic to your website if they are well patronised by a large, established audience. You can even pay to drive traffic to your site via these platforms. However, studies have shown that traffic that comes “organically” (ie. via a user generated search on Google / Yahoo / Bing etc) is far more likely to convert into a customer for your site. This type of traffic has a specific intent to find your business as opposed to social media traffic that tends to be drawn in via entertainment or general information provision. 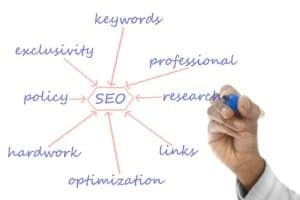 For these reasons above we believe that SEO is an essential strategy to incorporate into the design of your website. A strong SEO foundation is at the heart of all of the work that we do. That is why we include it as a standard part of our website design & build packages and website renovations. Ensure your site meets SEO requirements by giving us a call today on 0403 155 921.